Terahertz technology, developed by TeraSense, is confidently sweeping the planet opening up new horizons, penetrating deeper into the realms of everyday use in various industries, replacing more expensive, cumbersome and not always safe solutions. One of these industries, which is like no other demands of modern and effective approach to solve problems related to the protection of one of the most important things in the world, a human life, is the security industry. The need to find new solutions which meet the latest requirements of a customer on the one hand, and the rapidly growing interest in our technology, on the other hand, makes it possible to expand the range of partners and attract new markets. We cordially welcome on board our new partner, Eidos Business Lab LLC - an official distributor in Russian Federation. The company has extensive experience in supplying end users and various R&D institutions with a wide spectrum of components and turnkey solutions for homeland security and industrial NDT applications. 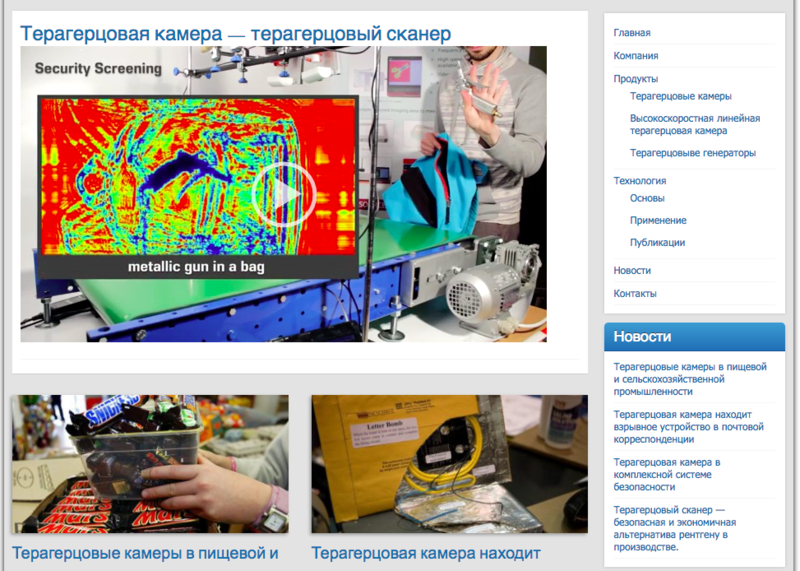 Due to the increased demand for our products and technology, Eidos Business Lab has decided to start promoting technology, implementing solutions and sale of equipment for Terahertz scanning in Russia.